Setting the pace and defining the future in radiography, Summit offers state-of-the-art high frequency technology with the Synergy 200 generator. Backed by 30 kW of power, the Synergy 200 optimizes peak performance with faster exposure time and increased x-ray penetration. 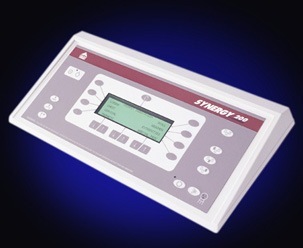 When comparing to 60 Hz generators, the Synergy 200 decreases patient dose significantly. Faster exposure time also minimizes the effects of patient motion on the film. Leading edge, high frequency technology is the future. Engineered for the easiest technique selection, the user-friendly operator console is anatomically programmed. To insure precise and accurate imaging, the Synergy 200 displays optimum kVp and mAs technique factors. To optimize image resolution, the mAs station and x-ray tube focal spot track independently. This design maximizes the mAs for small focal spot use. Traditional 14" x 17" and 14" x 36" x-ray systems are available with our Silver Level CFW Systems. Summit's Silver Level CFW System is conventional radiography at its best. Economically priced, the Silver Level system is designed for reliability and functionality. Available in both traditional 14" x 17" and 14" x 36" systems, Summit's Silver Level CFW Systems offer long-term durability and performance. 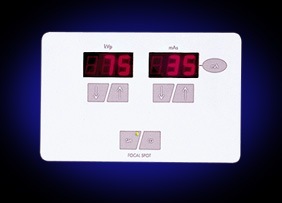 The operator panel contains digital displays of both kVp and mAs for optimum imaging. Simply enter kVp and mAs technique factors required for x-ray exposure. The Synergy automatically calculates the highest mA and shortest exposure time necessary to obtain the mAs selected. 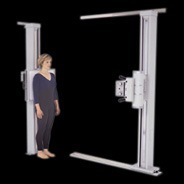 In turn, the shortest exposure time minimizes the risk of patient motion affecting the radiographic image. Veterinarians turn to Summit, the leader in veterinary imaging, as their supplier for guaranteed, dependable imaging and accessories. Summit's InnoVet Classic, InnoVet Select, Innovet Select HF, and Innovet Specialist veterinary systems are uniquely designed to meet the vigorous demands of a busy practice. 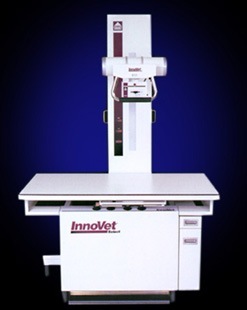 A true innovation for veterinary imaging, this system just makes sense.